1Preheat the oven to 350°F or your grill to medium. 2Remove the mushroom stems and scrape the gills out with a spoon - only because they tend to be bitter. Stir the garlic into the oil and brush it all over the mushroom caps - both sides. 3Place the mushroom caps bowl-side up on a baking sheet and bake (or grill) for 8-10 minutes, until tender. Take them out of the oven and increase the oven temperature to 450°F, or turn up your grill a bit. 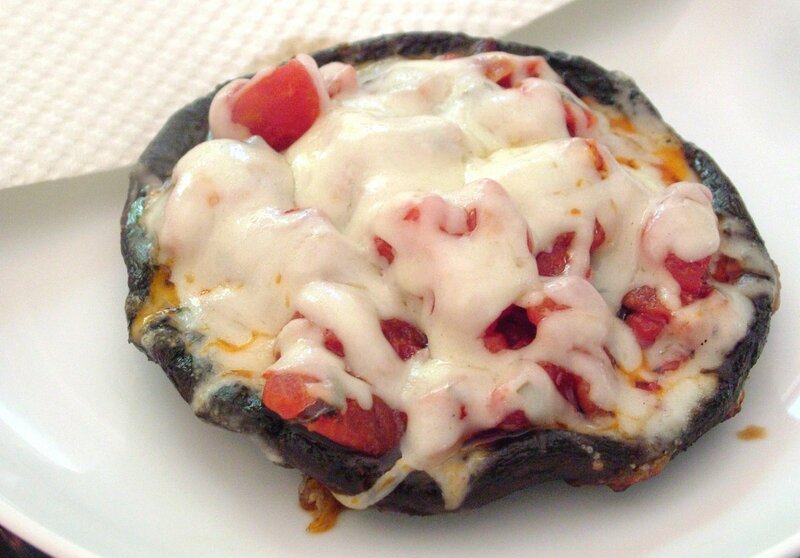 4Top your mushrooms with the bruschetta and cheese. Bake (or grill, with the lid closed) for 5-10 minutes, until the cheese melts.